New arrivals at Scott AFB looking to establish new friendships and learn about the community. Volunteers will receive training when they enter their new workplace. The Airman & Family Readiness Center also offers a wide variety of classes to develop your skills and enhance your potential for obtaining paid employment. Free child care is available for registered volunteers with special arrangement with a base-certified Family Day Care Provider and the Air Force Aid Society. Volunteers are authorized childcare during the days and hours they are working. We are excited to offer workshops and events tailored to the interests of families with exceptional needs. Please take a moment to look at our calendar to see what you would like to register for! Establish a work schedule with your supervisor. As a courtesy, always contact your supervisor if you are sick or you are unable to work. Your reliability contributes to your success when looking for full-time employment. Take volunteering seriously; it will pay off in a number of ways. Treat this position as a regular job and provide a two week notice of intent. In some extenuating circumstances, you may be required to leave a position immediately and are unable to provide two weeks’ notice. 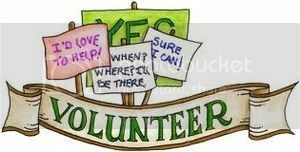 You may request a letter of recommendation and the number of hours volunteered. This provides correspondence for the number of hours worked and guidance when constructing your resume.